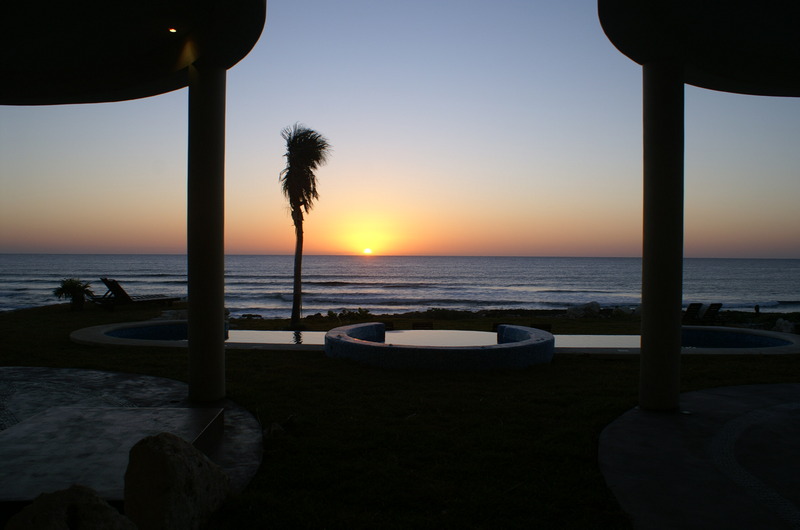 There is a special new place: Punta Sur, where your spirit soars to touch both ocean and sky. Punta Sur, Akumal, is situated between the Mayan Ruins of Tulum, 20 minutes away, and is 25 minutes south of the bustling city of Playa del Carmen. This newly formed private association of architect-designed villas is home to the most exclusive and secluded multi-million dollar villas directly flanking the Caribbean Sea on Mexico's Riviera Maya. The newest luxury villa is Esprit del Mar. 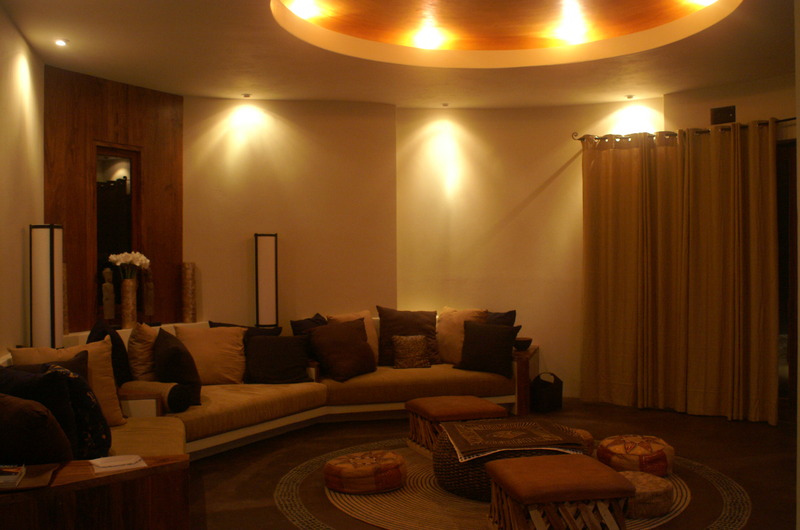 This private 5-bedroom villa boasts stunning architectural design and designer details seldom found in a beach villa. 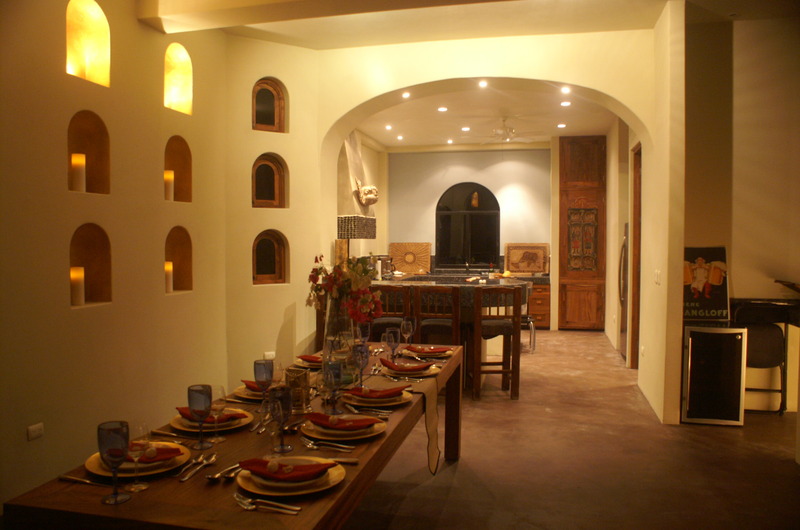 The husband and wife who designed Esprit del Mar have spent 15 years in the Riviera Maya and this villa reflects many details that they have loved in their travels. Entering Esprit del Mar, through double arched Caribbean-hardwood doors the visitor is immediately drawn to the view of the ocean. The 25 foot glass window reveals and frames the grandeur of the ocean. 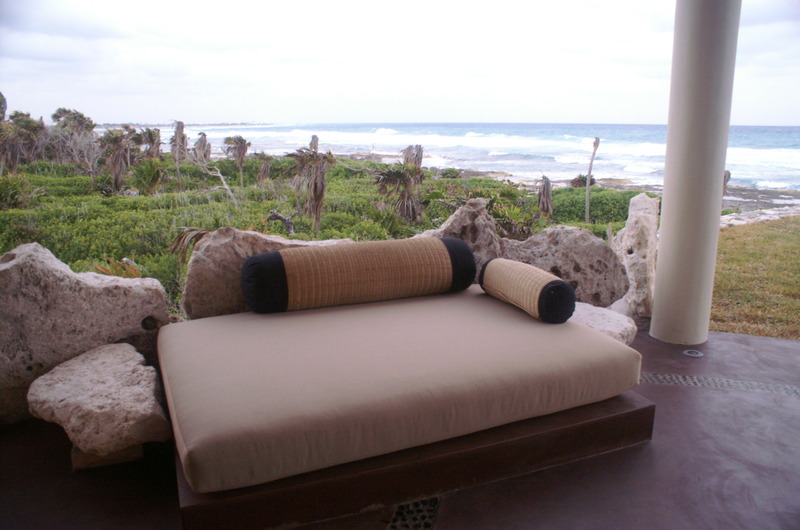 This is the last ocean front enclave of private villas, located after the development of Akumal Sur. 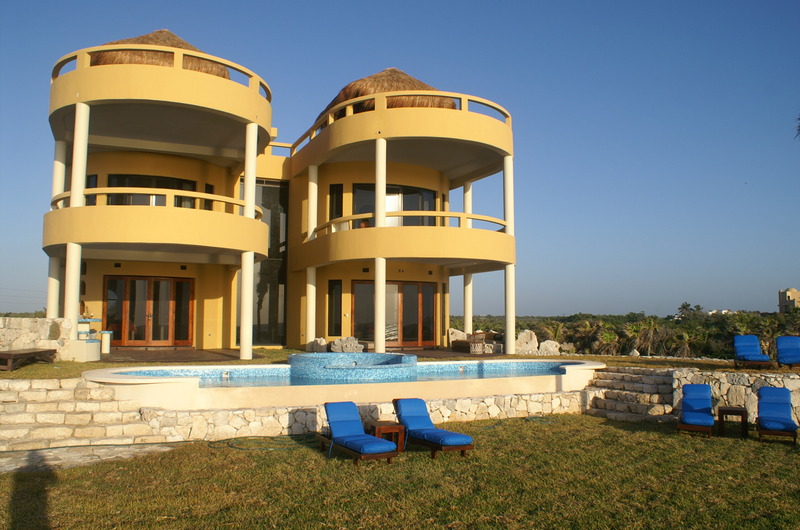 It is still close enough to walk into the town of Akumal, making it an ideal location. 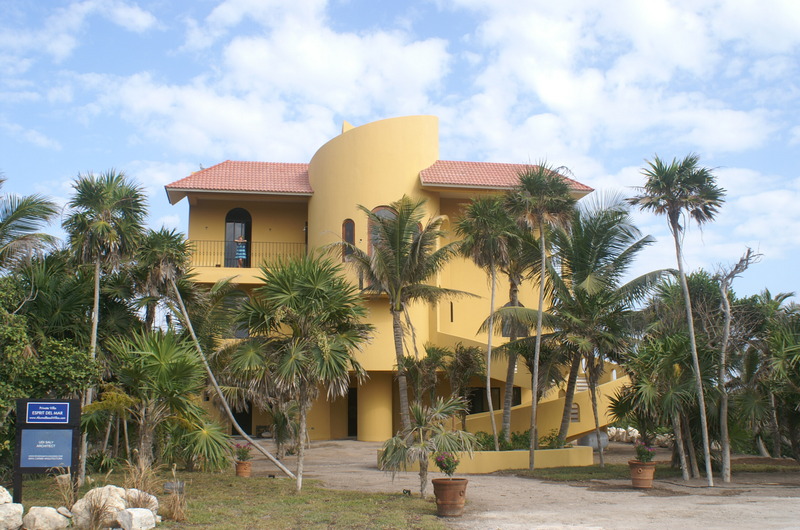 Situated high on the 18 foot coral dune, Esprit del Mar commands breathtaking views of the Sea. The pool path walks you down about 20 steps to preserved coral strata where your feet meet the Sea. Walk the rocks from the Villa path and sandy beaches are 100 yards on either side. The villa staff is there daily to take care of your needs while you are on vacation. 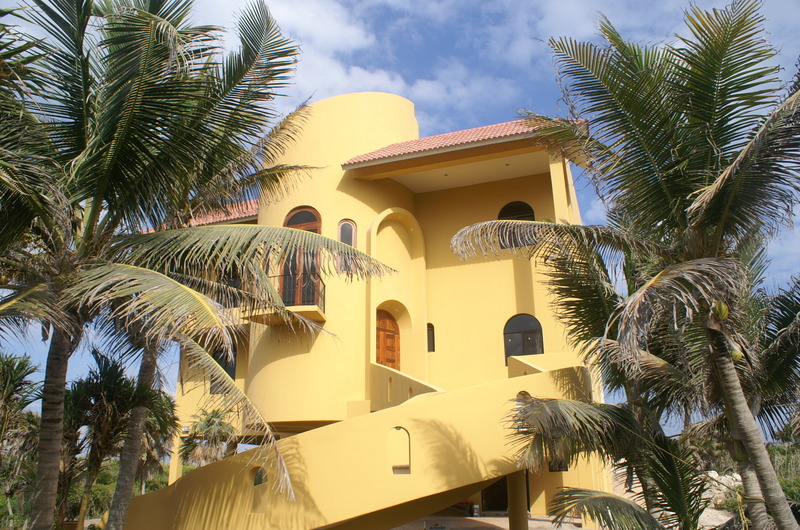 Esprit, a large Amarillo colored five-bedroom Villa has 5,500 square feet of Living space. Designed to maximize an indoor-outdoor lifestyle, patios are roof-covered and linked to the 45 foot long mosaic tiled Pool. The pool boasts a large 8-person Jacuzzi tub viewing the ocean. In the entrance foyer, the visitor sees the 6-foot tall black wrought Iron chandelier suspended from a domed ceiling 25 feet above. 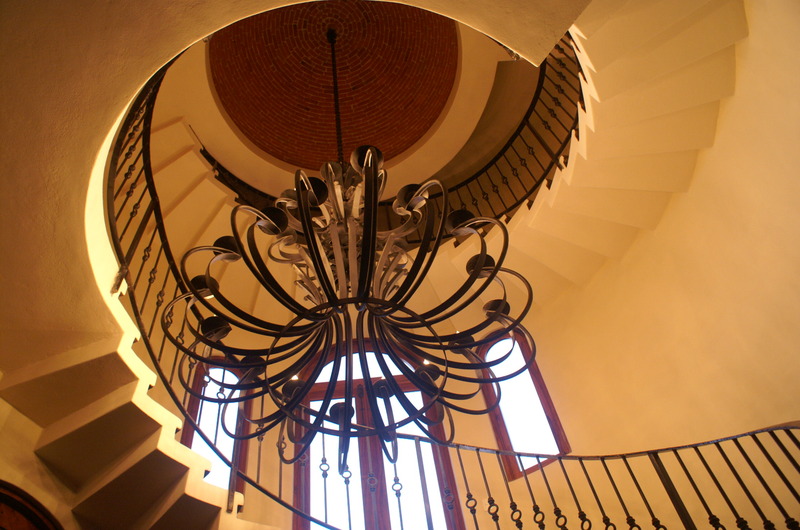 The hand-honed circular stairwell is embedded with river rock and bound by a hand-hammered artisan spiral railing all the way to the roof. 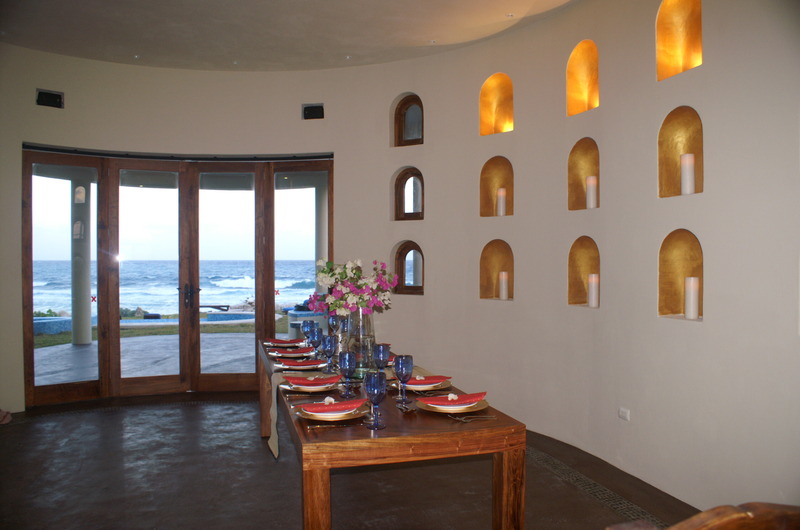 The first floor of Esprit del Mar has a large Living Room, a Dining Room with a 12 candle enclave wall. 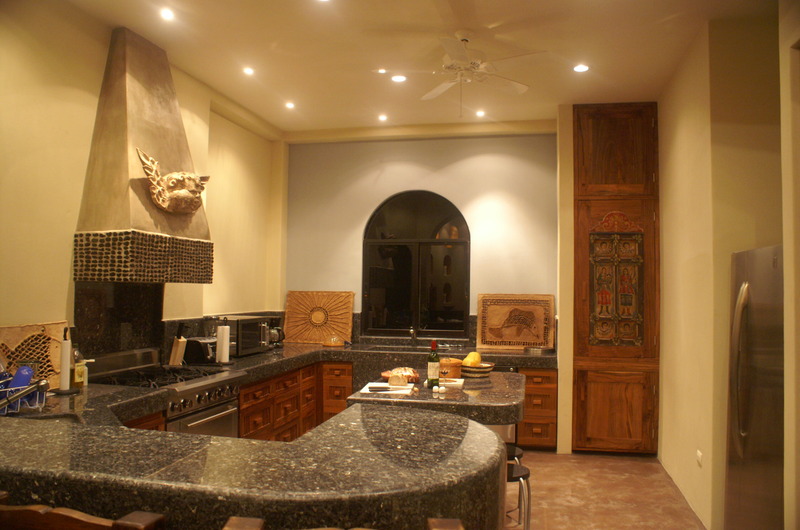 A professional kitchen of black granite has two sinks and a dishwasher and is large enough for everyone to watch meal preparation. A separate Bar of Amarillo Onyx graces the hallway. The Library Bedroom, a large bedroom suite, is located on the first floor and has a four-poster Caribbean-hardwood bed. 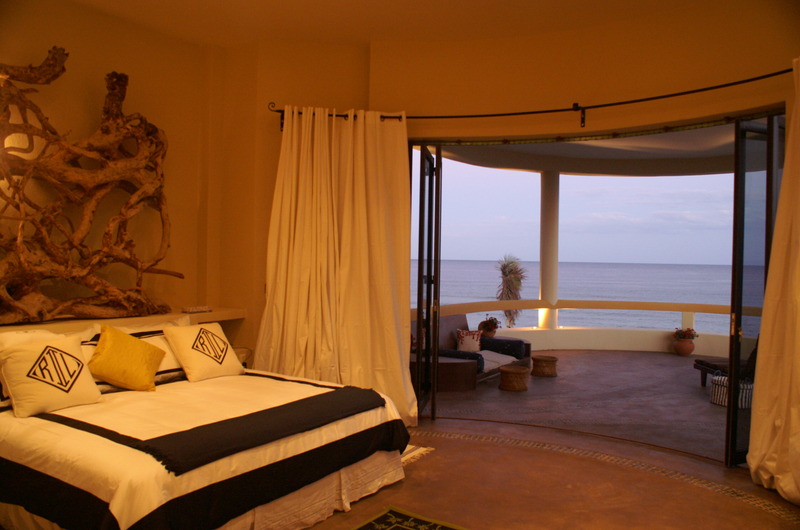 This bedroom overlooks the Caribbean Sea and the jungle. Its en-suite bathroom has double sinks, an oversized shower with rainfall shower heads. Glass doors clad in wood, open up to large exterior Bar and Grill and a covered rock layered patio that adjoins the pool. 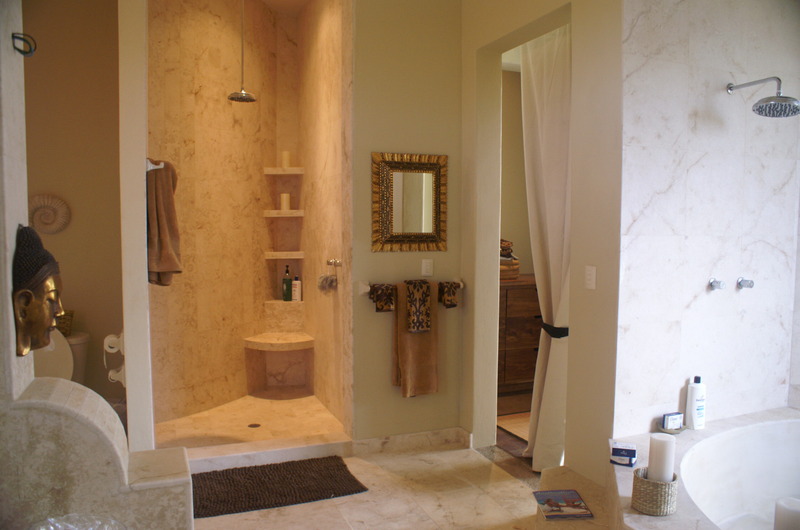 The Master Bathroom boasts a large 6 foot round soaking tub, a separate oversized marble shower with a rainfall showerhead. 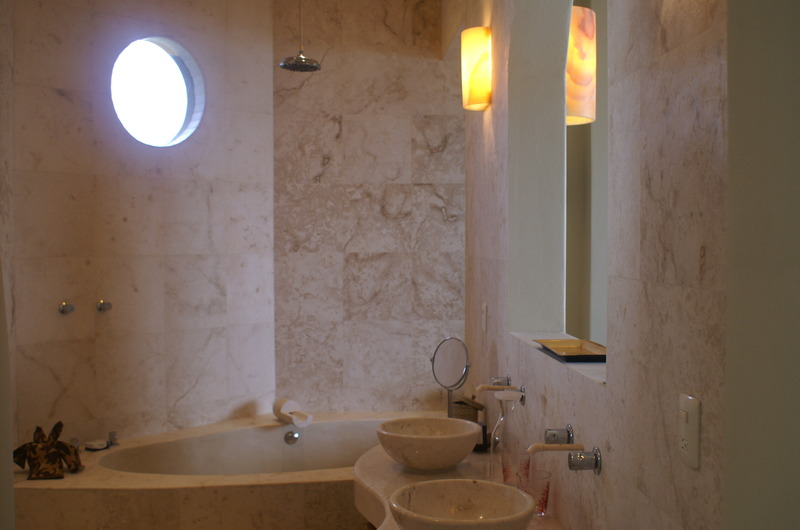 Two marble sinks capture views of both the Caribbean and the jungle through windows of the en suite bedroom. 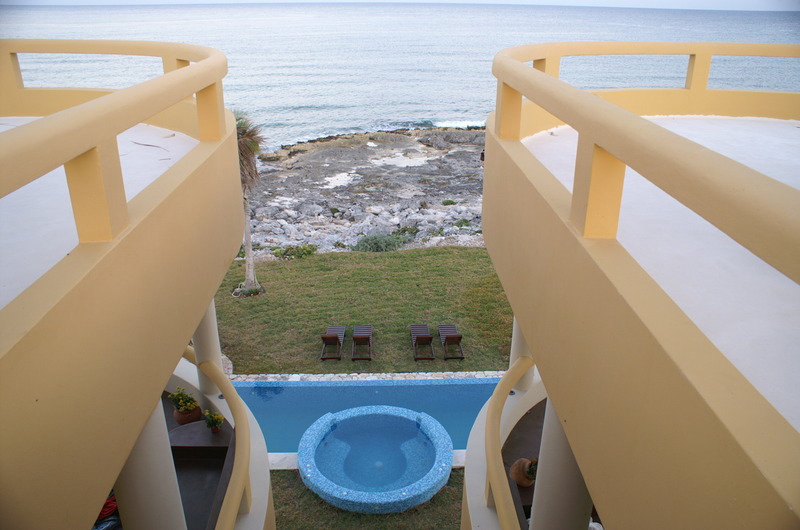 This suite opens up to an oversized private balcony with seating, overlooking the pool and the Caribbean Sea. The second Bedroom Suite – the Caribbean Suite – is a spacious suite with more than 550 square feet of living space. 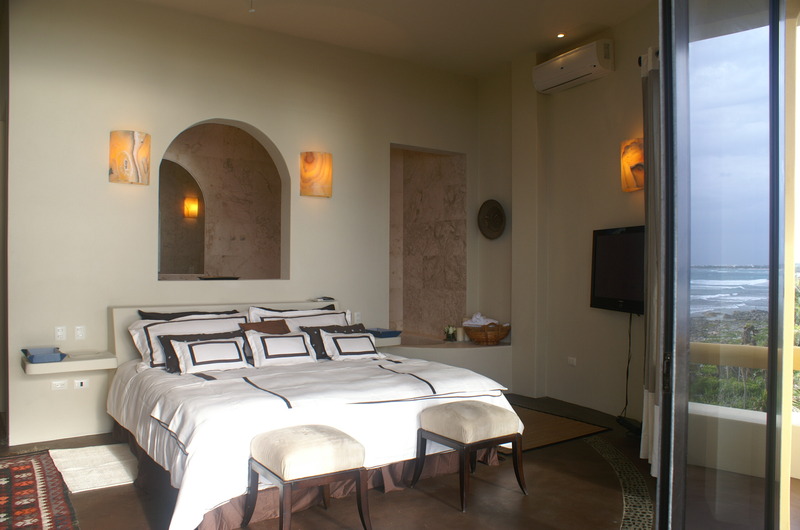 The King-sized bed, adorned with jungle vines, looks directly at the Caribbean Sea through 9’ wide glass doors. While all bedrooms are air-conditioned, most of the year one can sleep with the doors open and the ocean breeze suffices. The marble-clad bathroom has a hand-made egg-shaped tub that protrudes into the bedroom offering stunning views of the Caribbean. The oversized private balcony offers a refuge from it all with double wooden cushioned loungers and a seating area. Bedroom Three – the kids’ Jungle Camp Suite – offers a playful accommodation for up to six children, ages seven to seventy…. Naturally harvested tree trunks adorn the four beds in this large room with its own bathroom, double sinks and double shower heads to accommodate a crowd. 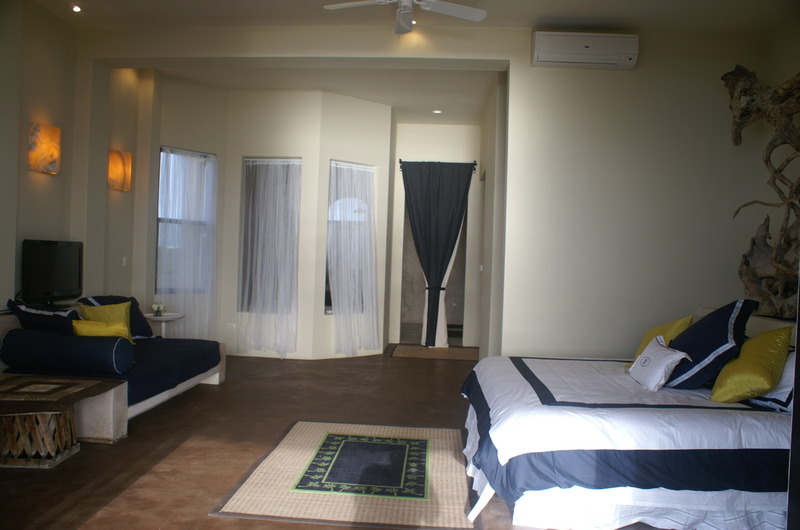 Doors open to a large adjoining balcony overlooking the jungle, which has a built in twin-size bed and an outdoor shower. The second floor has a desk-computer area for two people, with WiFi service provided at no charge. 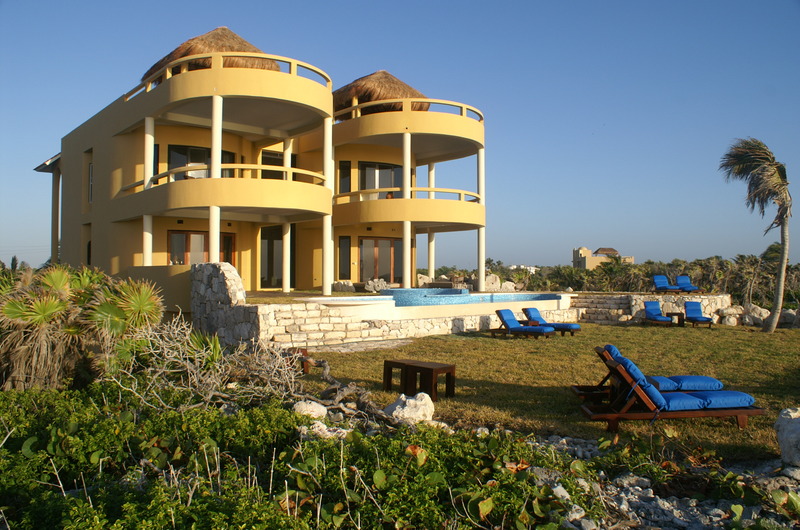 The third floor roof of the Villa has sheltering Palapa roofs with covered couches and an exercise area. 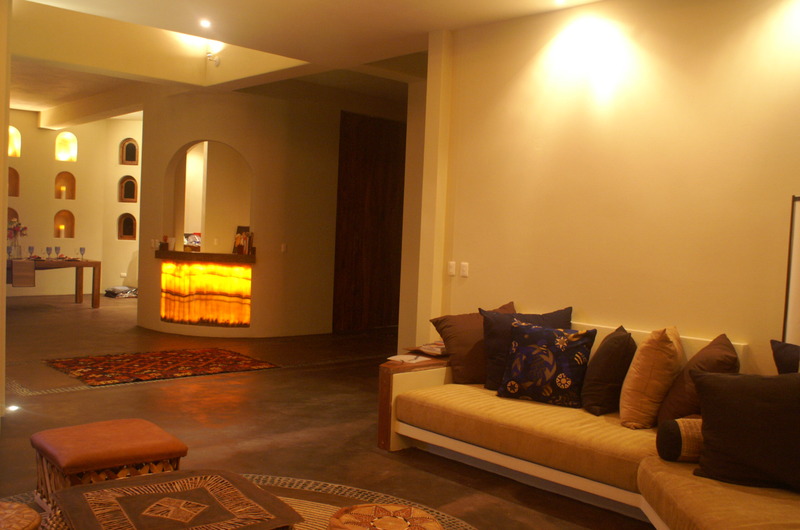 This space has breathtaking views of the Sea and wide angle panoramas of the red Jungle sunsets.